I can’t believe that tomorrow we’re off to Croatia already. We were really spoiled here in Beograd and were pleasantly surprised by how much we were able to enjoy the city as a family. 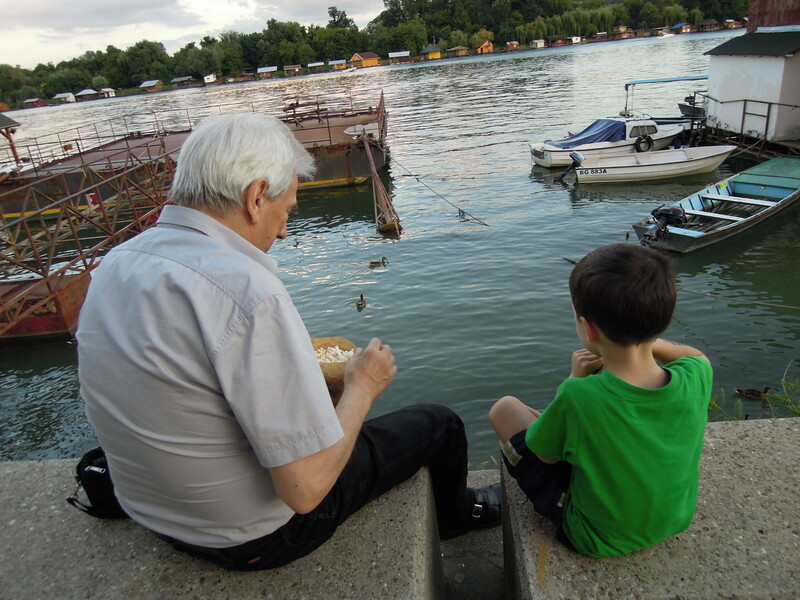 Beograd is not a beautiful city in the standard sense, but it is easy to pick up on its spirit, both past and present. It is ambitious and proud with its grand Saint Sava cathedral (still under construction), modern condo developments (standing half empty), and its public adulation of Novak Djokovic (tennis star) and Nicola Tesla (inventor and electrical engineering genius). But with all its ambition, there is a humble reality. Stephen and I were moved by the sight of working men selling their monthly bus passes to supplement their meager incomes. We saw abandoned, half-finished public works, Roma shanty-towns and the ruined shells of buildings bombed by Nato twelve years ago. There simply isn’t the resources to deal with them, so there they stand, frozen in time. 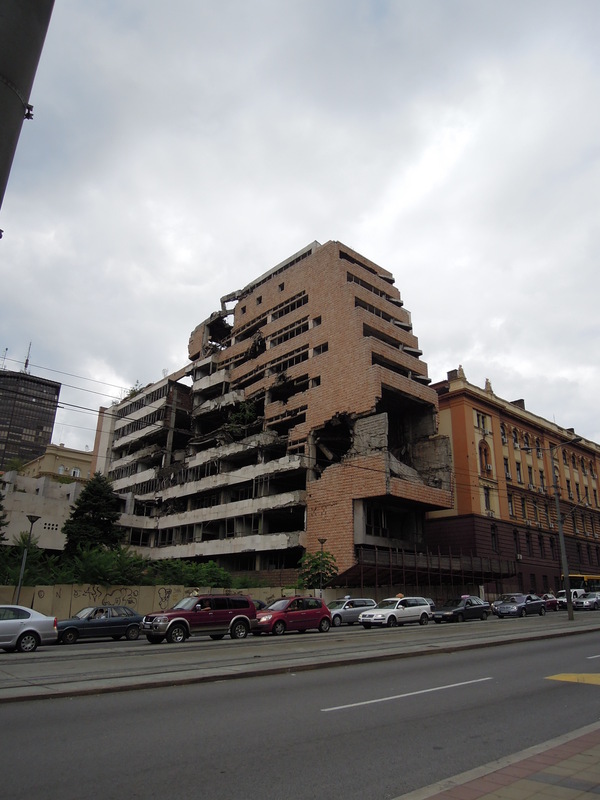 Quentin and Landon were particularly fascinated by these “bombed out buildings”. Quentin was constantly trying to wrap his head around the idea of buildings being bombed. He wanted to know if Jelena were scared when it happened and if the “bad guys” who dropped the bombs were from Jupiter or Saturn. We tried to explain the situation to him, but it just didn’t make any sense to him. How could buildings be bombed by ‘”good guys”? All of the dichotomous elements of the city’s infrastructure made it fascinating, but not scary. We felt really safe and comfortable where ever we went. We traveled from old to new Belgrade on the bus, which was easy to do not only because we had Jelena there to help us, but because the route was really straight forward. Jelena’s dad took us on special tours of the city and always was there to transport us home if we ended up staying out too late. I told you we were spoiled, didn’t I? He was quite taken with the boys and would have done anything to ensure their comfort. 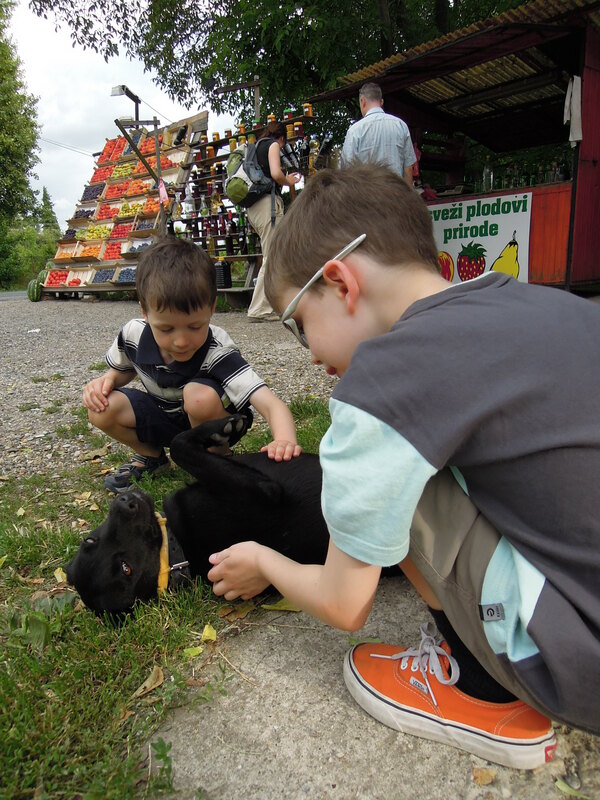 He took us for walks on the Danube and the Sava Rivers, and helped us explore an interesting old churchyard and tower in Zemmen (right outside of New Belgrade). We were treated to fresh bags of popcorn, which fed both the boys and the “wild” ducks. I yammered on to him about what I knew of Serbian history from all of the reading I did only to make him feel badly that his English was not adequate. I can be so oblivious to these things sometimes! The result of my monologuing is that he promised to practice his English more. My Serbian consists of exactly three phrases: thank you, good day and good night. Perhaps I should do a little practicing as well. We experienced Serbian hospitality beyond Jelena’s family as well. In restaurants, shops and roadside fruit stands, people were very generous and very proud to serve us. The food was always excellent and reasonable too. We toured around Fruska Gora today and our favourite experience was buying apricot brandy (rakia) from a roadside farm fruit stand. The women who owned the stand treated us to drinks and nectarines. The boys played with her dog and she thought they were wonderful, of course. I get the sense that Serbian people are extra happy to receive foreign tourists not simply to make money, but to show off the best of Serbia. It is a good place, full of good people. I’m not sure that I have done our experience here justice, but it is a good enough start. It is late, late, late (past 2:00 am) and we have to be up early to head out on our road trip through Bosnia to Croatia. Just want you to know that I am following your posts and enjoying them immensely. Happy trails to you!